Tomorrow will be the first day of April and it might be Spring, or not. Yesterday where I live it was 74 degrees Fahrenheit but today the high may be only 50. To get you ready for a month of chocolate fun, regardless of your weather, here is our calendar of fun and serious holidays you could celebrate with chocolate. 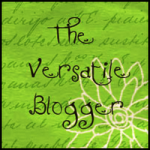 April = National Poetry Month -- Have you ever written a poem about chocolate? April 3, 1892 = date of the creation of the Ice Cream Sundae but the National Sundae Day is in November for some reason! 2nd week of April = World Allergy Week -- If you are not allergic to chocolate perhaps substitute chocolate in for something you are allergic as a treat that week. April 22 = Earth Day (started 1970) -- Remember, Earth is the only planet we know of where Cocoa Trees can be grown. No trees, no chocolate! April 28 = National Blueberry Day -- I love blueberries so I'm going to try something with them that day. 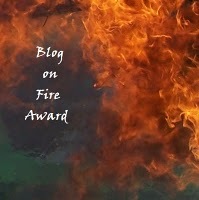 This series of "On the Road" articles is a bit late because I came back from a wonderful 25th Wedding Anniversary vacation very sick, and I'm still not completely well, but I can at least get started on the series. 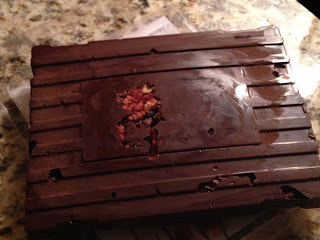 Today and for five more posts throughout the next couple of weeks, I'm going to share with you all, Sisters and Brothers in Chocolate the chocolate and chocolately goodie I found during that nine day trip to Florida. 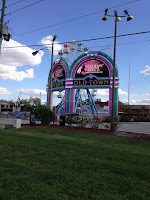 We'll start today with a look at the area immediately around the hotel where my hubby and I stayed while in Kissimmee. We stayed right across the highway from an area called Old Town and while we made a wonderful chocolate discovery there, I also had chocolate several other times just in the course of eating meals. I didn't take photos of all the chocolate I found and enjoyed but most of it. This article is not making any claims that we found the best, this is just what I enjoyed (or didn't, I won't like to you all about what I found). 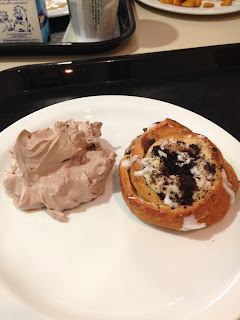 The Holiday Inn Celebration's restaurant had a buffet for breakfast and two yummy chocolate options both days we ate there. That's a chocolate mousse and a cookies and cream topped cinnamon bun that you see in the photo below. There was also a low fat chocolate milk but I didn't drink that. One night, less than five minutes walk from the hotel, we at at Retro Cafe. The cute place had huge, delicious meals and desserts but I was too full to eat one but my hubby had some of the Hershey's Ice Cream that you could get. 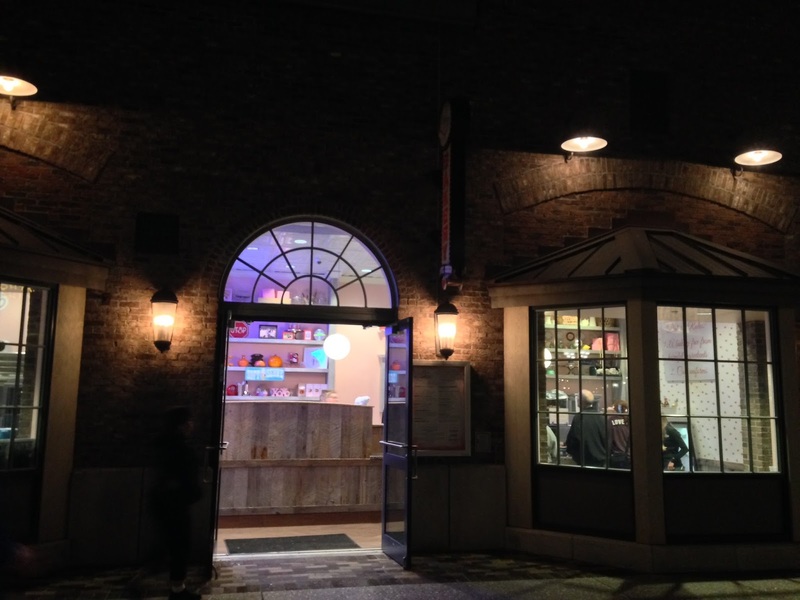 But the most important chocolate discovery I made in that small around near Old Town was Chocolate Kingdom. I wasn't looking for a chocolate shop by that name, it didn't show up on Google Maps when I did a search for anything chocolate before we left for our vacation, because it was listed under a different name ("Schokolade") but luckily, possibly because I pointed out the problem, you can now find it easily with a search. 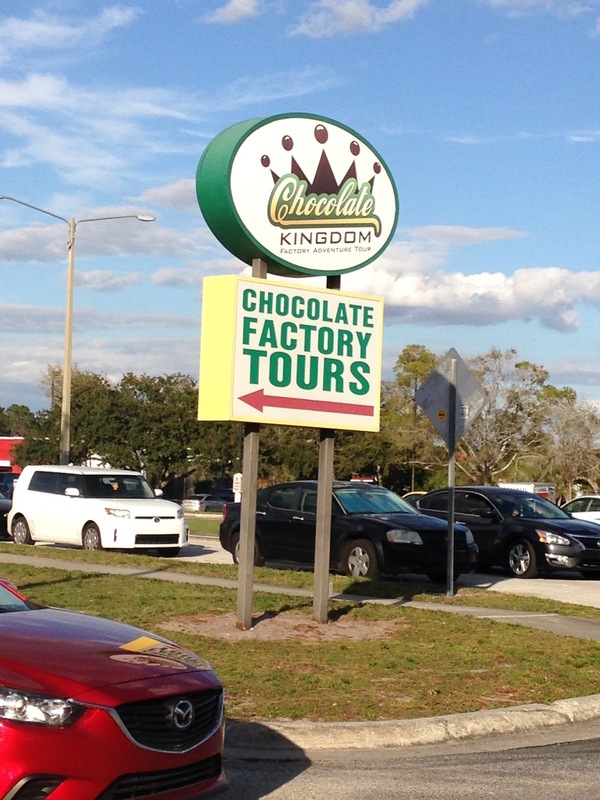 Chocolate Kingdom offers tours so I paid for one. The tour begins with a screening and basic information about chocolate -- history and creation. 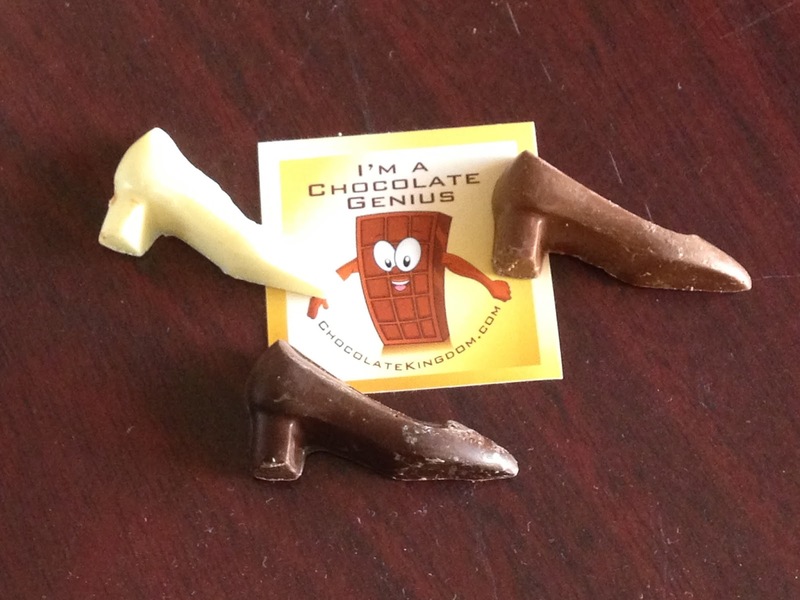 During it we were introduced to the story of a knight trying to win the hand of the Princess of Chocolate Kingdom by making her a pair of chocolate shoes. Our guide, Adam, then took us into the factory and showed us pretty much the same information but with samples and equipment and a visit to a kitchen where they make some of their products you can buy in the store. The samples included sugar coated cocoa beans, spicy hot cocoa, chocolate covered marshmallows, cocoa nibs, chocolate liquor, and finally these cute little chocolate shoes. I also got this sticker I think because I kept asking great questions. As part of the tour you could get a discounted custom made bar that was huge! I got dark chocolate, cranberries, cocoa nibs, and pecans. I could almost tell myself that it was a healthy chocolate bar, right? Here's a view of the front of the bar with the pecans trying to escape. 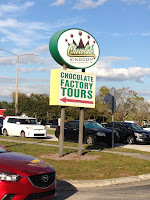 If you near Old Town please do check out Chocolate Kingdom. And if you have checked it out, please leave me a comment and tell me what you thought of their tour and their chocolates. Sorry for not doing the "On the Road" features I know many of you have been hoping to see after I was mysteriously offline for a while. I loved my 25th Wedding Anniversary Trip with my hubby but came back SICK. Next week I'll start a series of articles about the chocolates and chocolatey goodies I discovered on our trip but today I'll kick things off with a feature about Erin McKenna's Bakery NYC in Disney Springs which unknowingly became part of the The Chocolate Cult family by giving me a mini chocolate chip cupcake for free when I purchased another item using our Deluxe Meal Plan. As you can tell from the photo we visited them in the evening after the sun went down. 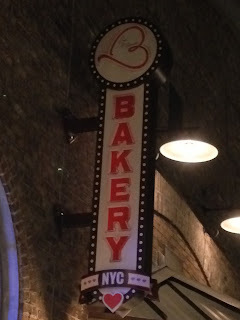 The bakery was highly recommended to me by the manager at the restaurant where we had dinner. We went to this bakery on March 6, 2017, around 8:30pm or so. There was a constant flow of guests but I imagine it is very busy during the day and during the high seasons at Disney Springs. While the Bakery didn't know it was giving me something in exchange for this feature article, I still need to mention that the cupcake was free and that no other form of compensation was received in exchange for this honest review. We'll start with what I bought first and I'll simply say that this chocolate ganache filled chocolate chip cookie sandwich was delicious! It was one Snack on the Deluxe Meal Plan from Disney. As we got this cookie I was talking to the staff behind the counter and after paying for this I gave them The Chocolate Cult business card as I always do. They asked me some questions, we chatted some more, and then after the staff exchange a few looks, one of them got this chocolate chip chocolate mini cupcake and wrapped it up for us and said "Here, try this, too." I took a photo there but also back at the hotel where the lighting was better. This is the best of those photos. You can see hints of the chips beneath the surface and the color was very enticing. I broke the mini cupcake in half to share with my hubby. Remember Moderation is one of our key principles here on The Chocolate Cult plus I get a second opinion. Hubby's opinion of this mini cupcake was "this is dangerously good" so I'll refer to my notes to be more precise. There is a strong brownie like cocoa fragrance from the cupcake that intensifies after I break it in half. The outside has a brownie edge look to it and a texture as well but the inside is a touch doughy but also fluffy much like a brownie should be... 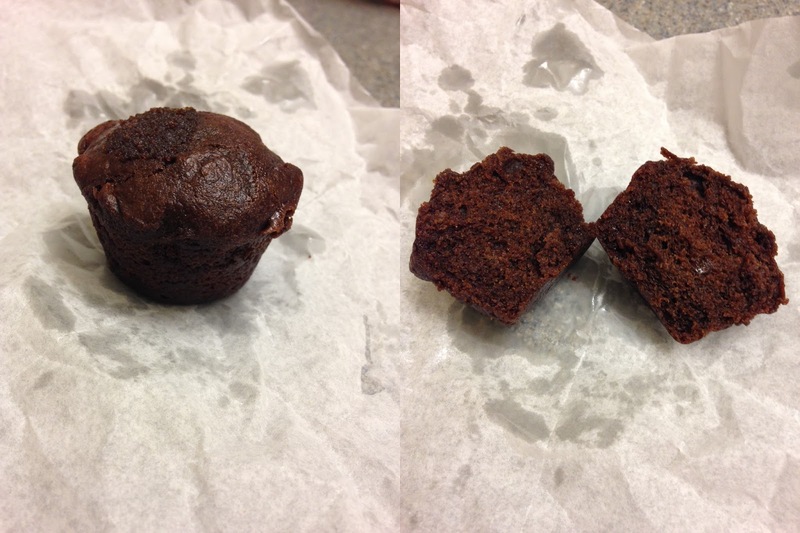 I think this is more individual brownie than mini cupcake. The flavor is semi-sweet chocolate with non-flour taste that is a challenge to describe but if you have had gluten free baked goods you know what I'm talking about. It was delicious and half of one was a joy to share. I would say that it is well worth the time to check out Erin McKenna's Bakery NYC if you are in Disney Springs. I imagine it can get very busy but if you have the meal plans the snacks cover some items there and the rest are reasonably priced. Plus the bakery focuses on being free of the most common allergens if that is a worry for you or a loved on. There isn't room to enjoy your treats inside the shop but just enjoy them outside or pack them carefully away to enjoy later on. The staff was friendly and knowledgeable. 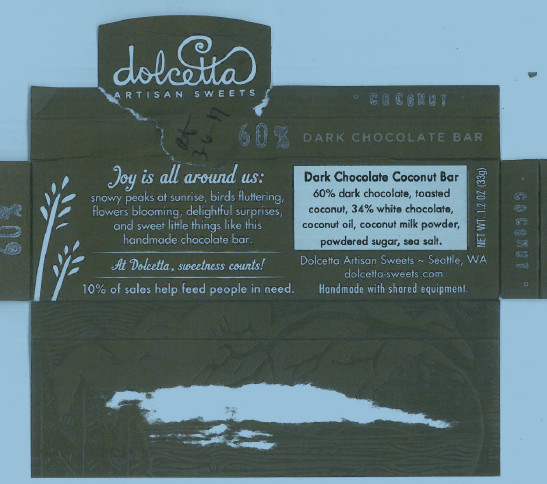 Dolcetta Artisan Sweets of Seattle, WA is recalling Dolcetta branded chocolate confections (see table below) because they may contain undeclared soy and milk. People who have an allergy or severe sensitivity to soy or milk run the risk of serious or life-threatening allergic reaction if they consume these products. Product was distributed in Washington and Oregon through retail stores, online order, and direct sales at markets, fairs, and festivals between March 1, 2016 and March 1, 2017. The recall was initiated after it was discovered during a routine FDA inspection that products containing soy and milk were distributed in packaging that did not clearly reveal the presence of these allergens. 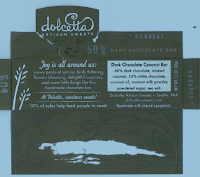 Consumers who have purchased Dolcetta chocolate bars, truffles, and caramels and who have allergy issues may contact dolcettachocolate@gmail.com to return unused product. Consumer can also call 206-280-7701 between 9 am and 6pm daily, PST. Dolcetta apologizes for any inconvenience. 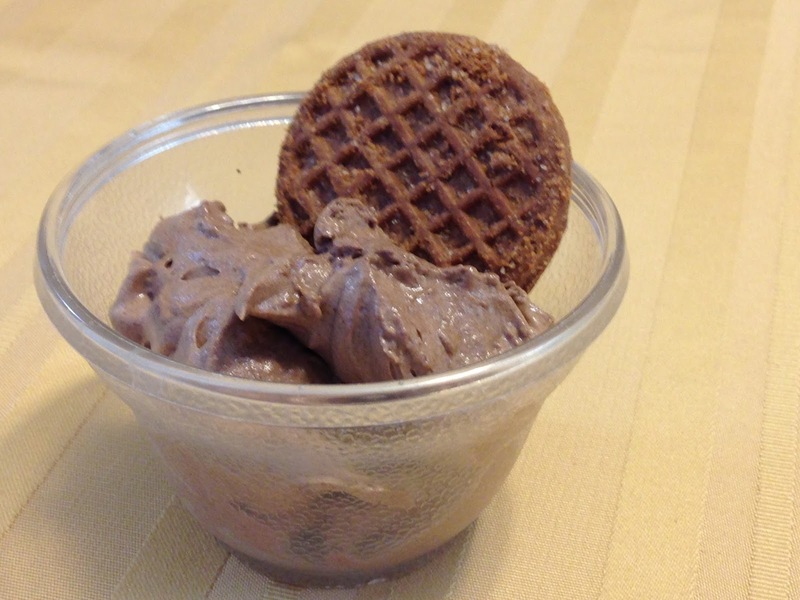 We're going two split our NuGo Dark articles into two categories. First up with be the three that your Chocolate Priestess tested solo while the second article will include the coffee, coconut, and pretzel varieties that I got help with from our Chocolate Coconut and Mocha Acolytes. The three varieties you'll discover today are the Chocolate Chocolate Chip, Mint Chocolate Chip, and Peanut Butter Cup bars. Immediately I'm impressed by the labels of these bars; all list the first ingredient as dark chocolate made from unsweetened chocolate, cane sugar, and cocoa butter! NuGo sent us six varieties of their NuGo Dark line for free in exchange for honest articles about their products; no other form of compensation was received. 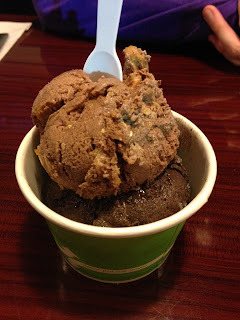 We'll start with the basic, NuGo Dark Chocolate Chocolate Chip. In terms of common allergens this has soy but it also has rice if that is a concern for any reader out there. As soon as I open the sleeve this one is in my nose is hit by darker chocolate fragrance. I break open the bar so I can see if that affects the flavor and to get you this photo, but it doesn't impact the scent. That's a surprise because often in snack, meal, protein, or energy bars, the dominant flavor and scent is either some type of grain or sweetness. Don't misunderstand, this has a lot of sugar, 14g of it, but sugar isn't what I smell or taste first, second, or even last, the chocolate dominates. The bar doesn't really make much of a sound when I take a bite but it loudly crunches when I'm chewing. The rice flavor is there in the background as is a hint of sweetness. There are tiny chocolate chips and when I bite into one a small burst of more chocolate hits my tongue but the dark chocolate over the entire bar is the primary chocolate provider. 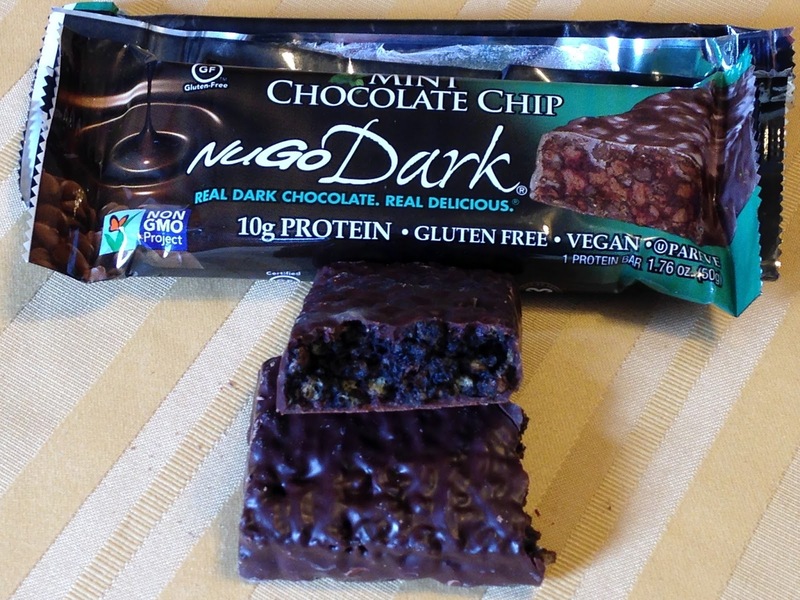 NuGo Dark Mint Chocolate Chip is a variation on the previous bar that should have a distinctively different flavor. When I unwrap it, the first fragrance is mint followed closely by dark chocolate. The inside is mostly dark in color but there are a few pale crispy pieces visible. Like the previous bar this one makes almost sound when I take a bite but this is also quieter as I chew it. The scent is matched by the flavor but the mint part also has a liquor feeling to it, must like creme de menthe has; the label names it as peppermint extract but stick by what my taste buds say. The chocolate is the dominant flavor but it does not build with each chew, it is merely there with the mint fading thought the cooling sensation stays in my mouth long after the bite is swallowed. Nutritionally this is the same as the Dark Chocolate Chocolate Chip bar but I think I prefered the flavor of that one over this one. Finally, how can you go wrong with peanut butter? 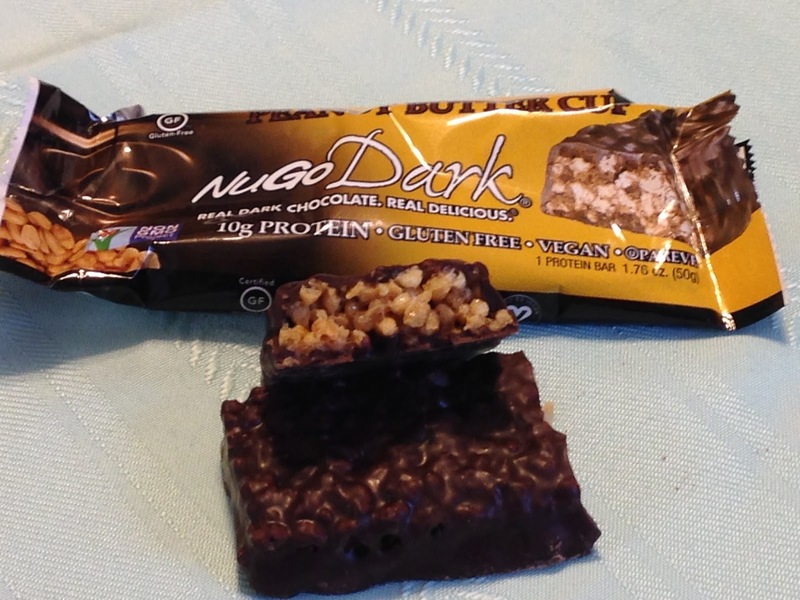 But does this NuGo Dark Chocolate Peanut Butter Cup bar have actual pieces of that candy in it or just the flavor? Just flavor, as you can see in the photo no pieces of peanut butter cups and those aren't listed as an ingredient either. Nutritionally, this is close to the previous bars but it one more fiber and a touch more calories (5 is all!). Obviously if you are allergic to peanuts you should not try this one. The first and dominant fragrance is the dark chocolate even after I break the bar in half. A light peanut butter scent is there as well but the chocolate is still dark. 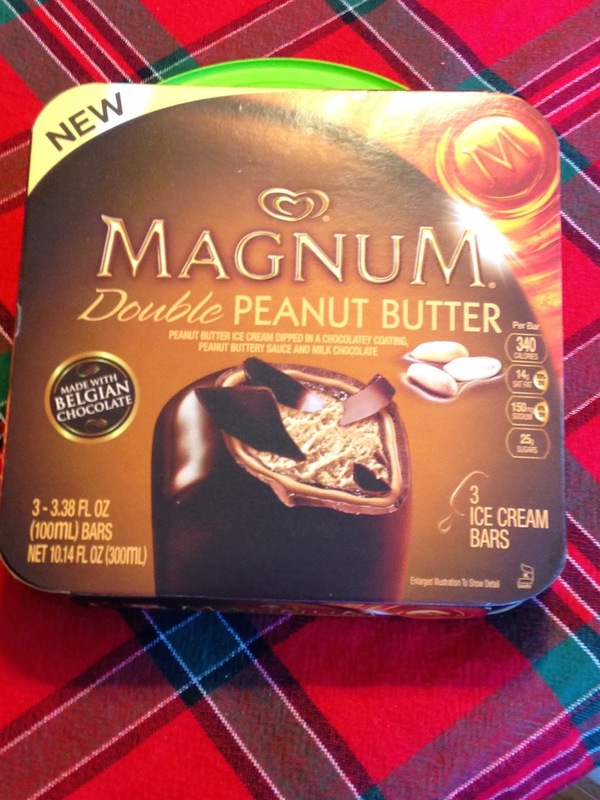 The flavor though is disappointing in the peanut butter sense. The flavors is really the dark chocolate, grains, some sweetness, and a very weak roasted peanut butter underneath it. As I chewed there was a bit of an almost cinnamon like flavor as well but that is not on the ingredient list. Taking a bite makes almost no noise but the chewing is very crunchy and loud. I still prefer the Dark Chocolate Chocolate Chip bar best. It is true that sugar is a bit part of these bars but have you looked at chocolate, real chocolate, even darker chocolate for sugar? If you didn't add sugar (or spices) the bitterness of chocolate would be unbearable for many people. Ideally I'd love to see the dietary fiber higher on these bars and the sugar equal to the protein but they certainly gave my afternoons a kickstart over the course of the week I tested these. But the most impressive thing is that the first ingredient is chocolate, real chocolate, and the bars are taste like that is the top ingredient. I didn't think I'd ever give a meal, energy, or protein bar Sacrament Status but these come very close to earning it. If I were a betting woman, I'd suggest that another line of their products might just rise to our high standards on The Chocolate Cult. That's the first three of the NuGo Dark bars we were sent of the seven varieties in that line and we'll three more next month. Please, leave us a comment and tell us what you think about today's Sacrament whether you've tried them yourself or not. Sisters and Brothers in Chocolate, please help me welcome Sandra Robins from NoGo Nutrition to our blog today. Sandra, thank you for agreeing to speak with us. Sandra, would you tell us what NuGo Nutrition is and what your job is there? NuGo Nutrition makes real dark chocolate coated protein bars for many lifestyles, including vegan, gluten-free, and diabetes. 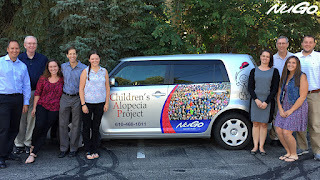 I have been working for NuGo for nearly six years as a social media specialist. NuGo makes "bar" products, I count eight different product lines. 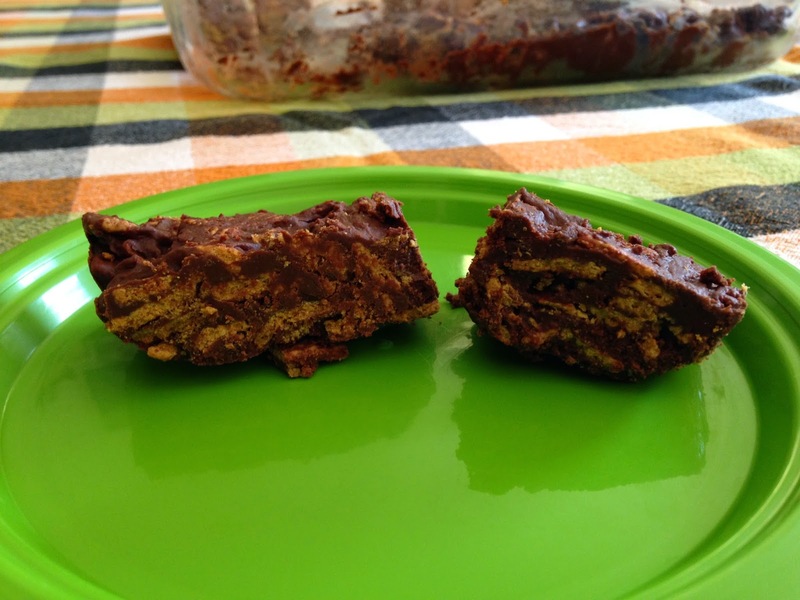 Are these protein bars, meal replacement bars, snack bars, how would you classify them? Since all of our bars, except for NuGo Stronger, contain less than 200 calories, we classify them as snack bars, not meal replacement bars. 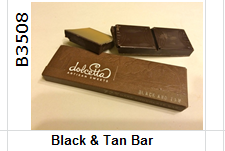 Most of your bars use chocolate but some do not. 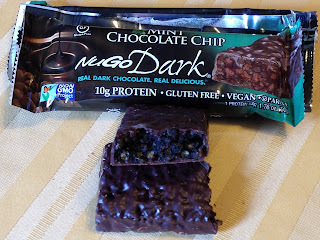 Why did NuGo decide to use a lot of chocolate? Is it a response to consumer taste or part of NuGo's business philosophy? 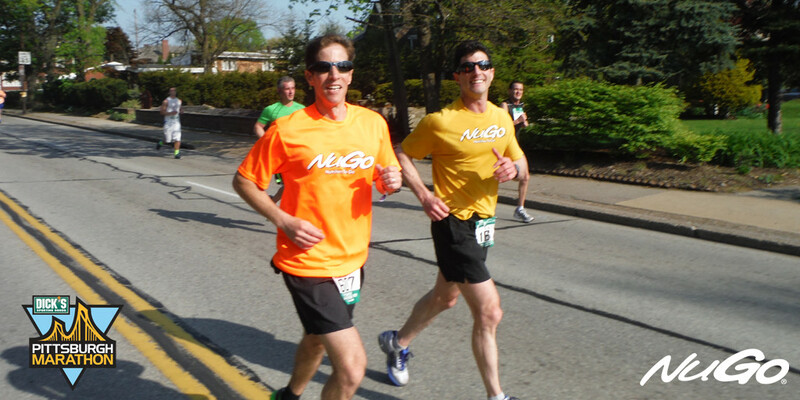 From a tiny office in Pittsburgh where NuGo Nutrition started over 15 years ago to now a multi-acre complex in the Pittsburgh suburb of Oakmont, PA, NuGo bars are available nationally and internationally. Our game-changing moment came in 2005 when we first crafted a protein bar coated in REAL Dark Chocolate. 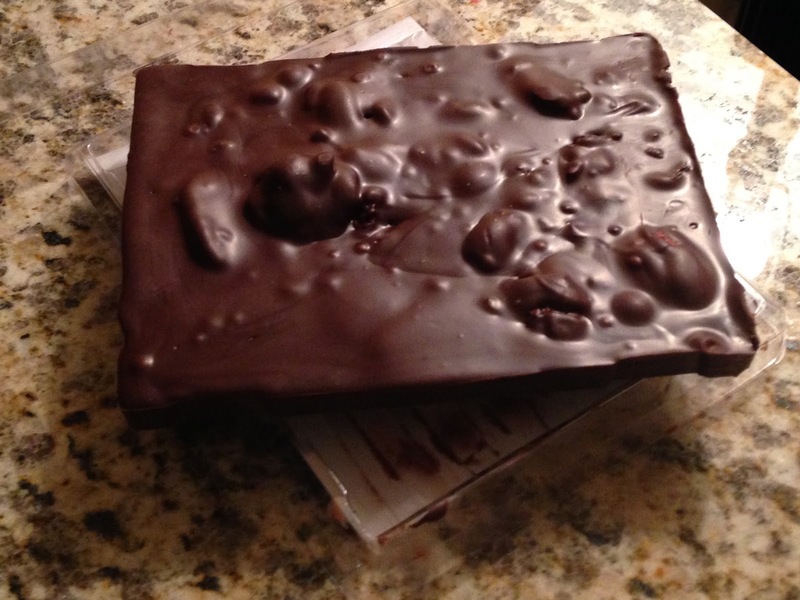 REAL Dark Chocolate is made with cocoa butter, which has a lower melting point than body temperature. When consuming, the cocoa butter provides the smooth velvety texture as it separates from the non-fat cocoa solids releasing the luscious chocolate flavor. Other protein bars use chocolate-flavored palm kernel oil instead of natural cocoa butter, which is cheaper and easier to produce, but raises the melting point of chocolate above body temperature. When eating, the fake chocolate coating doesn’t melt in your mouth, causing an unpleasant waxy texture and too sweet taste. We recognize that NOT following common industry practices has elevated the cost of the bar. 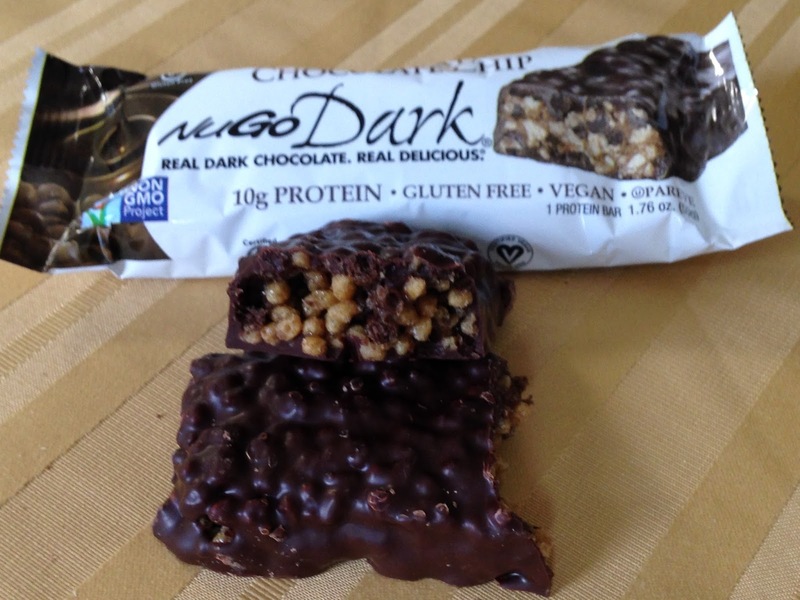 However, NuGo’s mission is to make the best-tasting, healthiest protein bar. As an independent food company, we do not and will not compromise our mission. One of NuGo Nutrition's current project is a petition to the FDA. Please tell us all about that. We started a petition to create a FDA standard for dark chocolate. The FDA has not set a standard of identity for dark chocolate even though there are FDA standards for milk chocolate and white chocolate. Consumers are being deceived into thinking they are eating healthy dark chocolate, while actually consuming fake chocolate made from vegetable fats (usually palm kernel oil). Without a standard of identity, companies are more apt to mislabel a product ‘dark chocolate’ on the front of a package without using real dark chocolate ingredients! Let's get a bit more personal, if you don't mind, Sandra. Do you like chocolate? If so, what type of chocolate is your favorite? Absolutely! I love the taste and health benefits of dark chocolate! 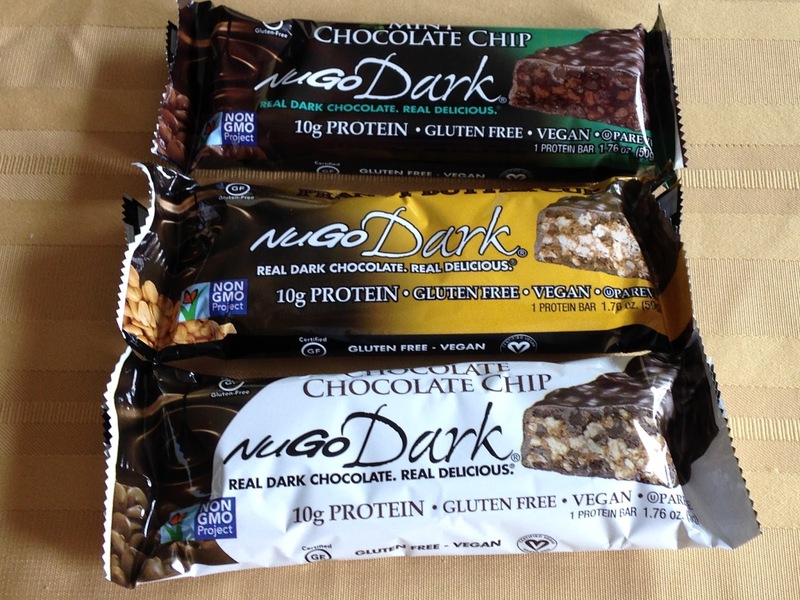 Out of all of NuGo's product lines and flavors, do you have a favorite or a few that you use yourself? With so many delicious flavors, it is hard to choose just one favorite! I eat several gluten-free NuGo bars in the NuGo Dark and NuGo Slim line. 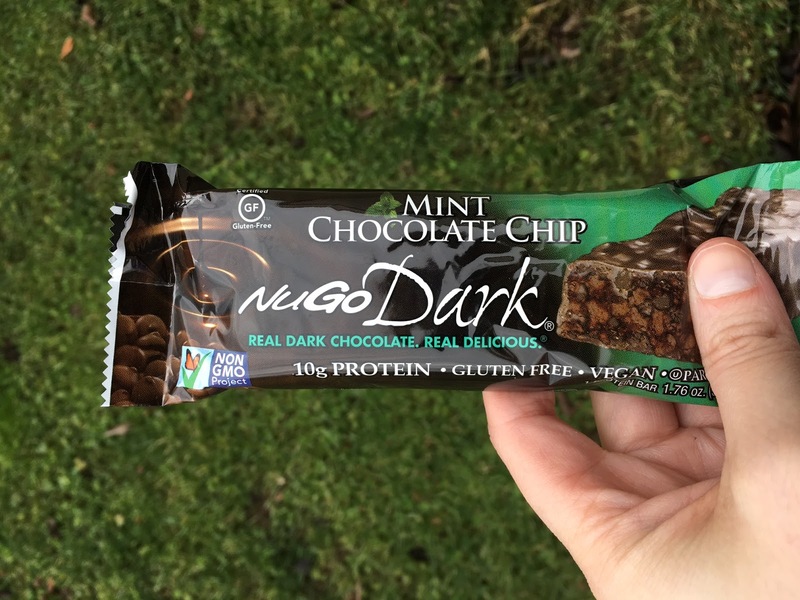 I especially love NuGo Dark Mint Chocolate Chip and NuGo Slim Chocolate Mint. Thank you so much for speaking with us today, Sandra. 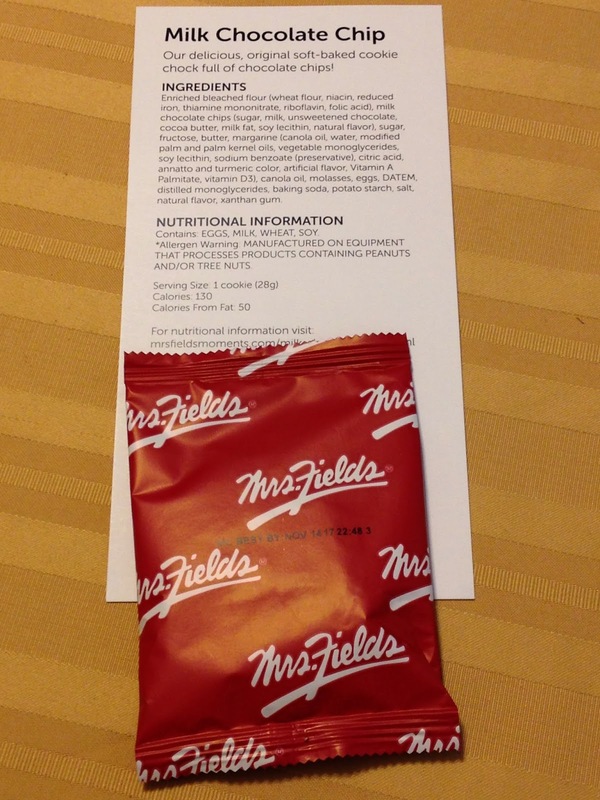 I look forward to revealing NuGo bars and the FDA petition at the end of this week in the months ahead. Next week, the entire second week of March, is National Chocolate Chip Cookie Week. I want to hear about your favorite chocolate chip cookies. Is it a family recipe? Is it a treat from a local bakery? Is it your own creation? Or is it a cookie you can just find in a box in a grocery store? I'm not going to judge, I just want to know. I'm not saying, yet, that the chocolate chip cookie I'm looking at today is my favorite but we sent sent this cookie from Mrs. Fields as part of a give cookies to soldiers program they did back in 2016. You can find their cookies in many grocery stores now as well a their walk-in shops. This review is a surprise to Mrs. Fields, anyone who participated in their program got a cookie, too. 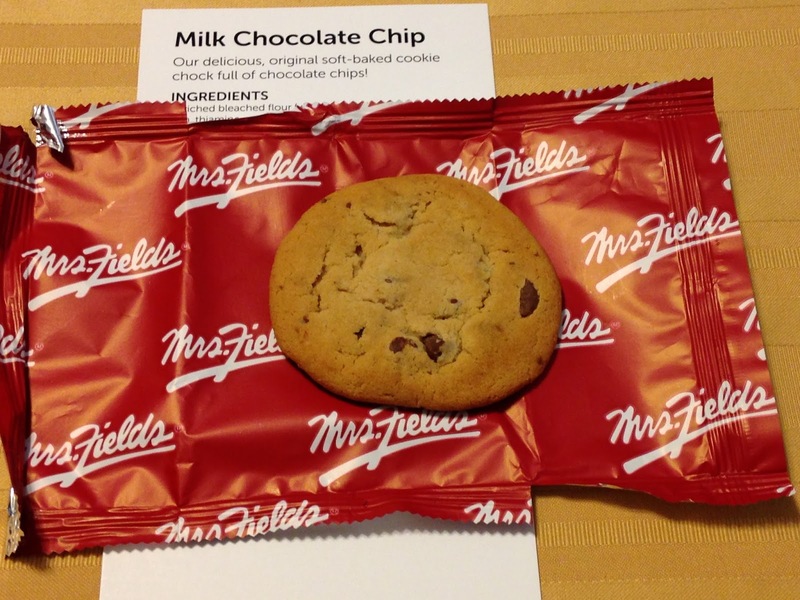 A single milk chocolate chip cookie comes in around 28 grams and has 130 calories. 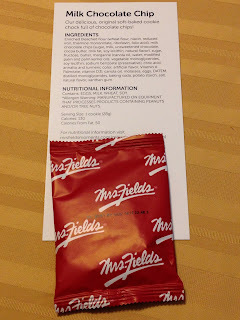 I really appreciated that the company sent the nutritional and ingredient information with the cookies. I'm still losing weight, I'm still working on being the healthiest me I can be, and this information is vital to my life now. The cookies isn't simple ingredients, these are to sell in boxes or send out in the mail, they have preservatives in them and ingredients to keep them soft. If you all natural cookies you'll need to make them yourself or buy then from a select group of manufacturers. The cookie has visible chocolate chips on the top and the bottom and they seem well spread out. It has a strong sweet scent with a hint of vanilla but the chips do not have a strong enough scent to break through the dough itself. When you bite into it the chips turn out to be very sweet and not particularly creamy which is surprising and not pleasantly so. I'm more of a chocolate fan than a sweetness fan and this cookie is more sweet than chocolate. I can't say this is one of my favorite chocolate chip cookies. So please leave a comment and tell me what your favorite chocolate chip cookies are so I can celebrate in style during the full second week of March. 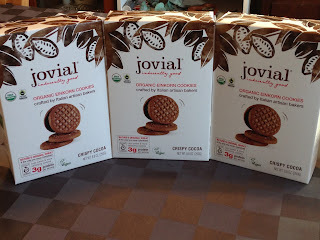 Have you heard of Jovial Foods? I hadn't until the very end of 2016 when I was contacted about their products. The good folks from there sent me two of their product to try out, two products but three boxes of each so I had a lot of ways I could test them out. The first of these products I want to share with you all today are their Organic Crispy Cocoa Einkorn Cookies. There are vegan, certified organic by QAI, and contain 20% Fair Trade Certified ingredients. It contains both organic cocoa and organic cocoa extract; yes, there is such a thing as cocoa extract just like there is vanilla extract. The cookies are made in Italy but distributed by Jovial Foods, Inc., that is headquartered in Connecticut. Samples for this product was sent to The Chocolate Cult free of charge in exchange for a fair and honest feature article; no other form of compensation was accepted for today's post. When I open the box and cut open the plastic bag there is distinct but light cocoa scent that emerges along with a grain scent that is not wheat, rice, nor corn but still grainy. 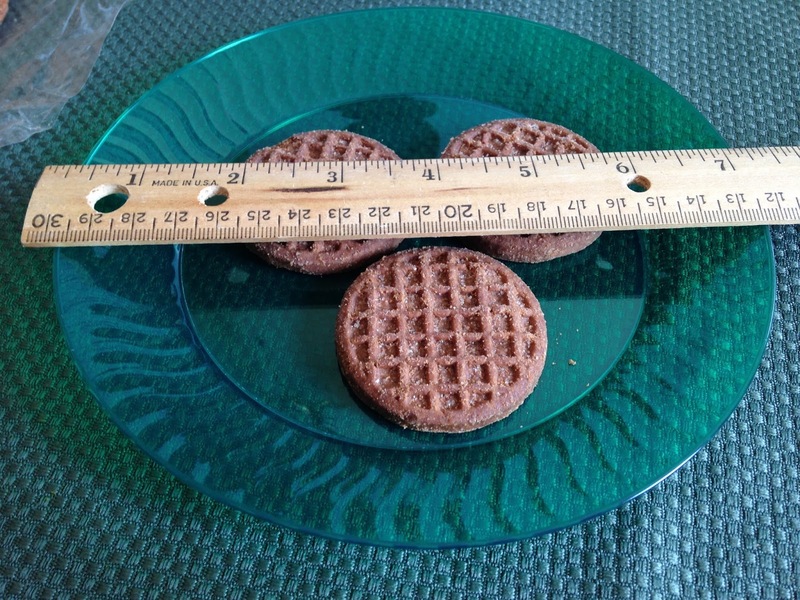 The cookies look like waffles on one side only and measure 2 inches in diameter and 0.25 inches thick. 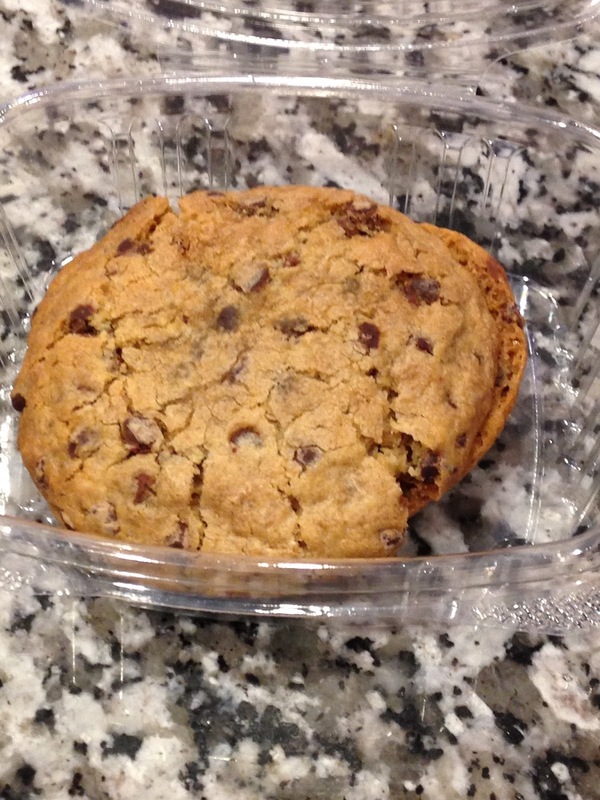 Three cookies equal a serving with 140 calories made up of 6g fat, 2.5g saturated fat, 80mg sodium, 18g carbs, 1g dietary fiber, 6g sugars, 3g protein. Once serving also has a small amount of Vitamin C, Calcium, and Iron. Organic Cocoa is the 6th ingredient on the label with Organic Cocoa Extract the 10th and final ingredient. That's a lot less ingredients than many packaged cookies on the market today all but the salt are marked "organic." If you look on the label you will see "contains wheat" but remember that the claim of Jovial is that this ancient form of wheat does not trigger the same reactions that modern wheat strains do. You'd have to experiment with them to determine that for yourself. But you want to know how these were when I ate them, right? Biting into one makes a loud crunch and the initial flavor is a light sweet grain with a hint of cocoa. Biting into one didn't cause the cookie to crumble and only small pieces near my bite broke off. 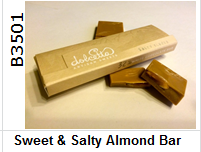 Each chew was crunchy and the cocoa flavor built with each so what we want here, chocolate, was the dominant flavor. That really surprised and pleased me. 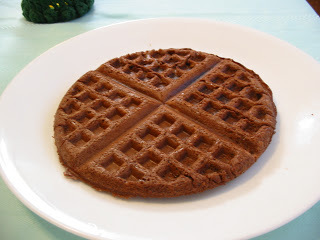 Normally plain cocoa cookies are rather bland but great to be dipped in chocolate or used as a garnish or ground up for crusts but these are tasty on their own. 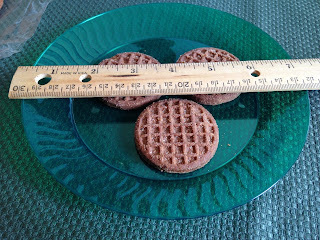 Of course you can use these cookies in other ways to enhance chocolate even more here are two examples I tried. 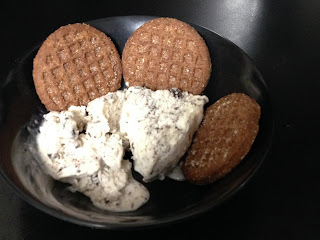 First with cookies and cream ice cream. Second with chocolate mousse.... so good with the chocolate mousse! Given the care, the ingredients, and the taste of these cookies solo these Einkorn Crispy Cookies are one of the rare baked goods we've looked at on The Chocolate Cult that earn a Sacramental Status. 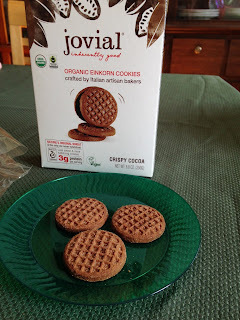 If you would like to test what Einkorn can taste like and what type of products it can make, check out jovial foods for yourself. I haven't yet found them in my local stores but I'll keep my eye out for them to appear. For the price and the number of servings this is very reasonably priced even though you may not like ordering online because of shipping costs. If you can, treat these, please. 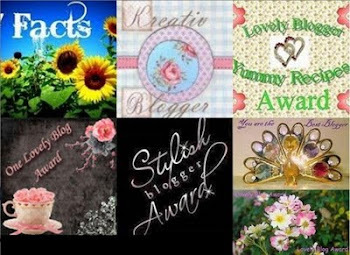 If you have tried them, leave a comment and let me know what you thought about them. Even if you haven't tried them yet, just let me know you read by leaving a commenting of answering the brief survey at the bottom of each post. Sorry I forgot our Fun Food Calendar for February but here is for March and there is a lot of days, weeks, and even month long celebrating you can do with chocolate. March = National Flour Month -- for most cakes and cookies you'll need flour but I wonder if anyone has made chocolate flour. March 2 = Read Across America Day -- here's a list of chocolate books we'd covered back in 2015! 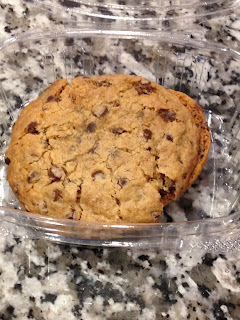 2nd week of March = Chocolate Chip Cookie Week runs from March 6-12th this year (or 7-13 depending on when you think of a week starting) -- there will be a feature article about this here once it goes live on March 11th. March 26 = National Make Up Your Own Holiday Day -- why do this without chocolate?